It all started with the 1980s movie version of Annie. Jenn knew immediately that she wanted to sing and dance like them cute orphans. So, she began in community, grade school, and high school productions. Jenn went on to earn a Bachelor of Fine Arts degree in Theater, from New York University’s Tisch School of the Arts. As a professional dancer, she has been so fortunate to travel the world training and performing. She’s been a dancing doll, polar bear, maid, lady of the night, villager, party goer, cheerleader, raver, skater, Chinese Princess… And though her most impressive credits may include the 2nd National Tour of Miss Saigon, Paul McCartney’s Driving USA Tour, & National Commercials for Sony, Dr. Pepper, Burger King, Nissan, Captain Morgans, Joe Boxer…Her deepest most fulfilling work has been here on the Big Island discovering her own personal flavor of dance and delving into the wild world of choreography and movement as a spiritual practice. Jenn recently debuted an original work in the University of Hawaii’s, Hilo Performing Arts Center, fall offering, Dance Collective; her most fun and rewarding creative experience to date, dancing as herself. Jenn also enjoys performing biannuallly with the incomparable Shizuno Nasu (of Volcano Hawaii / Japan) and international improvisational vocal master Rhiannon. Jenn aims to serve the Infinite, the community, & loved ones thru dance & creativity. And she is so grateful for all the opportunities she has had to share and teach around town; EB de Silva School, Center Stage Dance Alliance, Hilo Shala, & Kamehameha Schools, where she had the pleasure of choreographing Westside Story & Into the woods and collaborating on Ha’upu. Her teaching style is vital and loving. 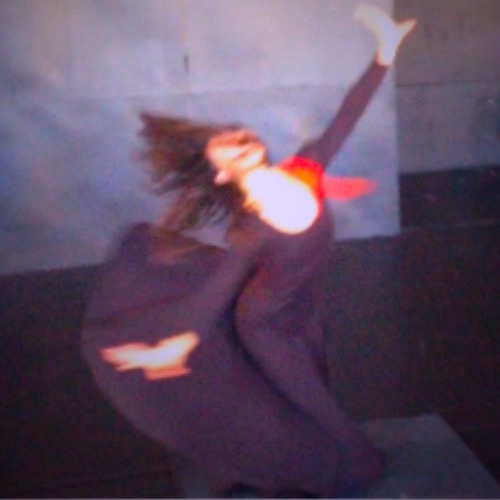 Her intention is to explore love/ acceptance, deep listening, authenticity, trust, & freedom thru dance and movement. Jenn has been dancing and performing most of her life, & stands on the shoulders of so many masters, teachers, & experiences. She humbly credits the following beings for guiding, sharing, witnessing, and encouraging her: Cecilia Marta, Ryan Heffington, Rea Fox, Nadia Schlosser, Gabrielle Roth, Arjuna Vinn Marti, Michael Skelton, Scrumptious Pineapple, Shizuno Nasu and of course her supa supportive family.